Staying in the nineties, here is a two-page Marvel UK House Ad (from July 1993) plugging their PUMPING IRON imprint from the GENESIS '92 US line. Pumping Iron was just a sales device (the 'button' logo appeared on the covers) as these three books were virtually indistinguishable from the rest of the G92 fare being churned-out during this period. 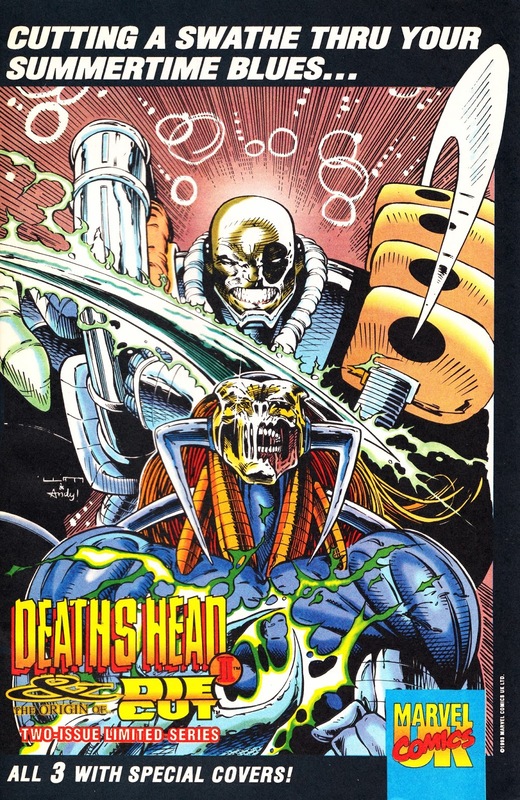 Inevitably, DEATH'S HEAD II was prominently featured in all three. BATTLETIDE II started its British reprint in the pages of OVERKILL 52 (April 1993). 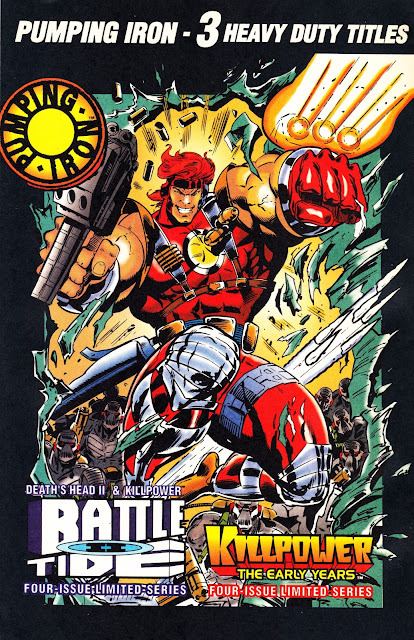 Which also happened to be the final issue of that title, suggesting the decision to cancel the UK end of the G92 line (already cut from fortnightly to monthly from the 43rd issue) was made at the last minute with much of the contents already fixed when the plug was pulled.